How do I keep my hair looking healthy, even though its so heavily bleached?! I use a good few different products for my hair, including a range of shampoos, conditioners and treatments! I don't really focus TOO MUCH on shampoos, as I believe shampoos are just for cleaning your hair rather than treating it! BUT there is some shampoos I prefer over others. 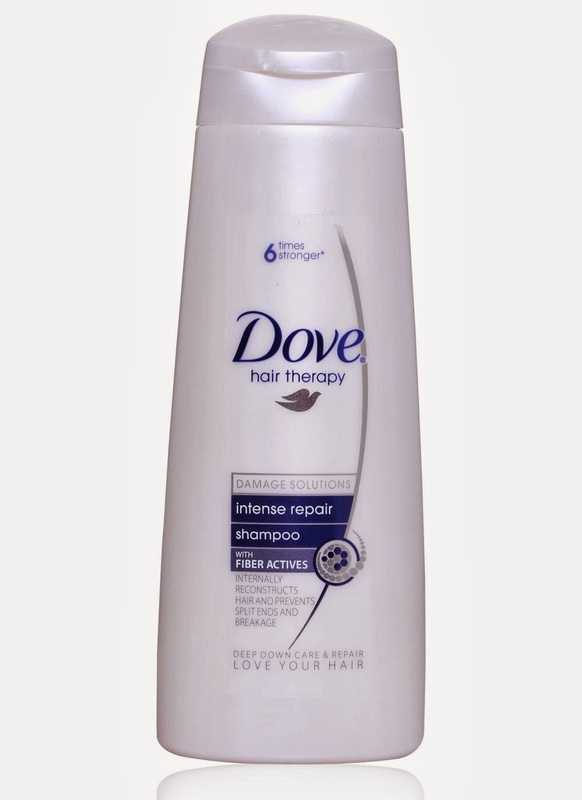 Dove Intense Damage Repair Shampoo - This shampoo is really good for a good clean, leaves your hair feeling really cleansed and means you have a good start for the rest of the product you'll use on your hair! It also helps if you have a lot of split ends and notice breakage, which happens A LOT in bleached hair!! 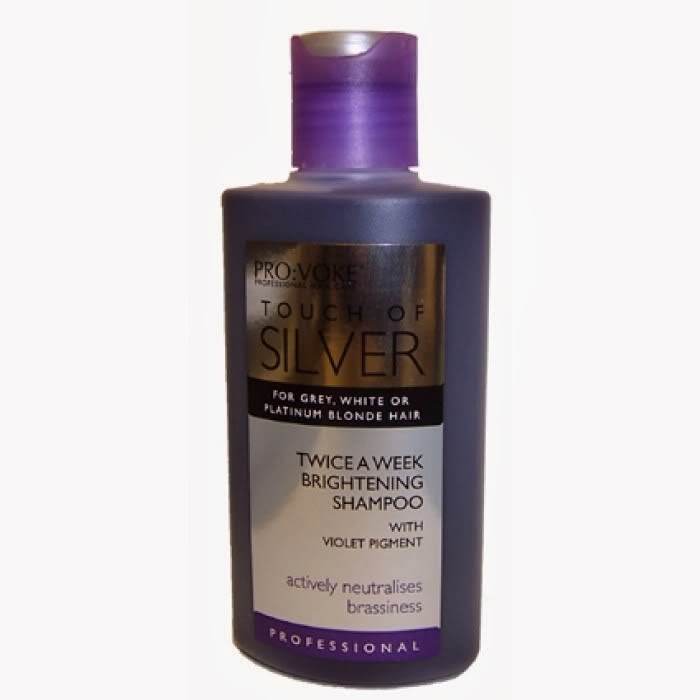 Touch of Silver Twice A Week Brightening Shampoo - I use this every second time I was my hair! Its amazing if you have platinum/white/grey hair! It helps to tone down any brassiness and keeps your hair nice and bright! It is quite strong and its BRIGHT PURPLE in colour so don't leave it on the hair for too long or it will start to colour it slightly! There is a daily version of this which isn't as strong, BUT I didn't find it useful at all. I have tried SO MANY different conditioners as I feel their the most important in maintaining a good hair care routine! Both my favourite conditioners are by the same company, sorry if thats annoying, but they are the BEST that I've found on the market for my hair! 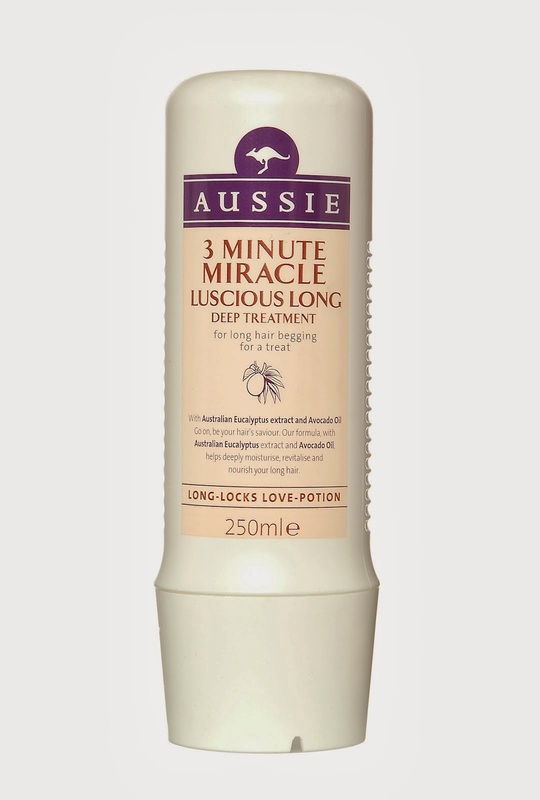 Aussie 3 Minute Miracle Luscious Long Deep Treatment - This is the BEST conditioner if you want QUICK results! As soon as I wash this out of my hair I can feel the smoothness left behind! Its amazing! It also smells soo fresh! I use this every time I wash my hair! 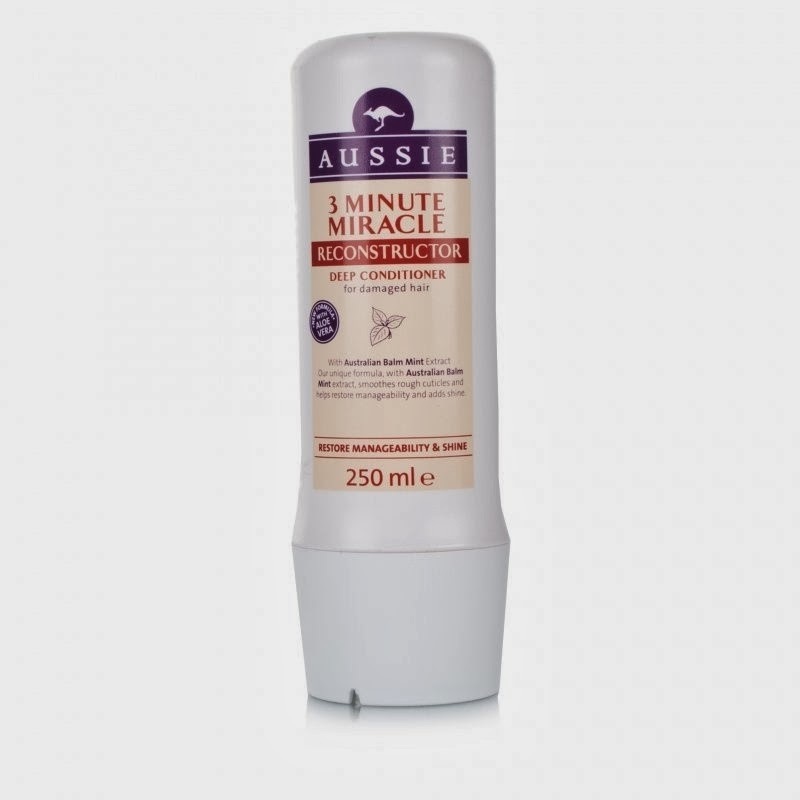 Aussie 3 Minute Miracle Reconstructor Deep Treatment - This is a great one for deep treatments! I use this when I want to do a long treatment! I put it all over my hair, lather it and then wrap my hair in clingfilm and leave it on for an hour if not more! My hair comes out feeling AMAZING! The 3 minutes however, does nothing! It needs longer to work or you won't notice a difference! These are things I would use after I get out of the shower or in between washes! 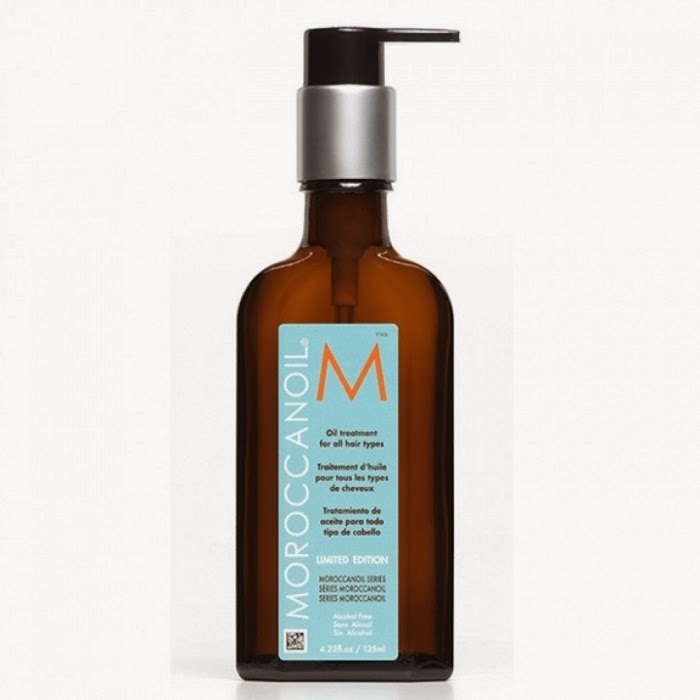 Moroccan Oil - This is great for adding shine to your hair! If your hair is feeling particularly dry this will give it a little boost and add a super pretty shine! However, DO NOT put this up near your roots as it will just end up making your hair look greasy and no one wants that! I usually use this after straightening my hair, as the flat irons dry it out! Aussie Miracle Hair Insurance Leave-In Conditioner - If I run out of any of my good conditioners and have to use a generic one, I always apply a GOOD amount of this after to compensate! Or if my hair has been particularly unruly or tangled as this helps to ease the pain of brushing out bad tangles! 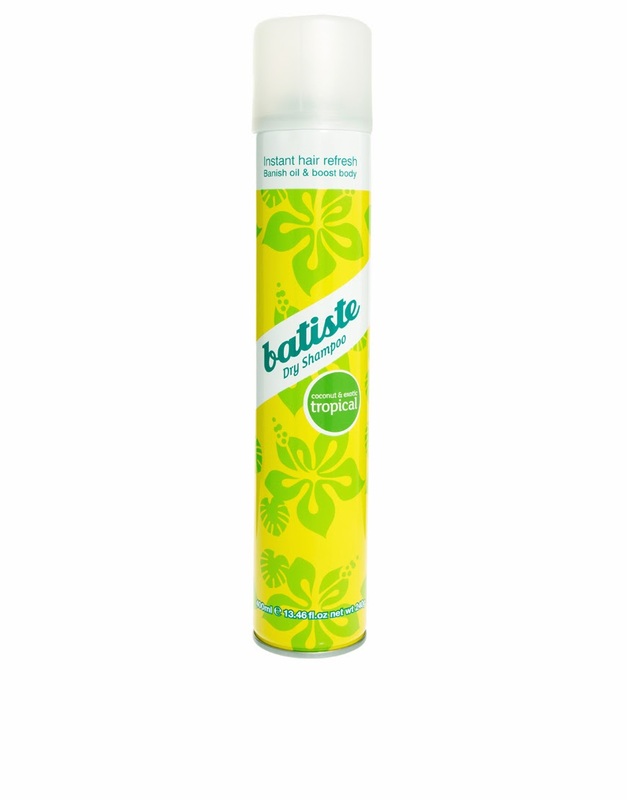 Batiste Dry Shampoo for Blondes - Last, but definitely NOT least! Obviously, this isn't a treatment, but it does mean I don't have to wash my hair as OFTEN which in turn is good for my hair! The less you wash your hair, the more oil the hair retains and the less dry it becomes! These are all the products I use on a frequent basis to care for my hair! I always get my hair bleached professionally to avoid damage and I try to leave as much of a gap between bleaches as possible to avoid even more damage! I hope this was helpful to you all & I'll talk to you soon!